So you roll a grenade, then you pull the pin. I guess things change cause I'm pretty sure I was taught a different sequence. KBCraig and Coyote33 like this. I can't even read these articles anymore without almost puking with how little actual knowledge of history and civil rights these retards have. The 9th Circuit just today vacated the Young v. Hawaii decision and is ordering rehearing en banc. It won't be SCOTUS ready until next term at the earliest. Rogers (petition submitted) and Gould (petition due April 1st) are rather along. 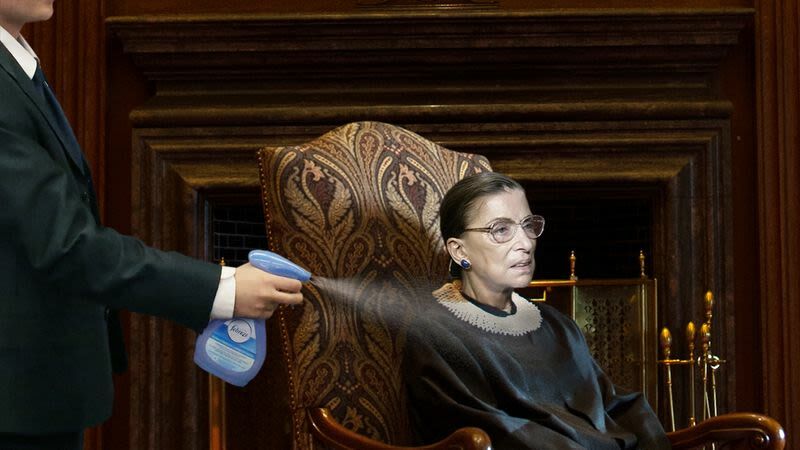 Which would be after strict scrutiny is applied and possibly when a successor to RGB is on the bench. Things look like they're shaping up to be like SCOTUS will rule open carry must be permitless nation wide. We shouldn't get too hung up on the tiers of scrutiny paradigm. Scrutiny levels are an invention of the courts, they aren't the standard marker in every civil rights context, and a lot of judges have a problem with them. They're a convenient way to talk about what does and does not burden a constitutional right, but they're not the end-all. Don't be surprised if the Supreme Court takes a different approach to the Second Amendment. drgrant, KBCraig and Boston4567 like this. ... Don't be surprised if the Supreme Court takes a different approach to the Second Amendment. This is what I don't get. How can they interpret things a certain way 9 times, then suddenly differently on the 10th? What logic can they possibly use to justify this break in consistency? I have a nice bridge to sell you if you actually believe that. They will contort themselves into a knot to have a narrow ruling. No surprise really. CA9 hates us and they don't want one of their cases going up. There is a strong political consensus around the other rights, which allows for relatively consistent application of the tiers of scrutiny among judges across the political spectrum. That is not the case with the Second Amendment. It is also much more difficult and inherently political to apply balancing tests to 2A. No one denies the centrality of crime prevention to the government's legitimate purpose, so you have a heavy weight on the other side of the scale in any balancing test situation. Varmint, Cap'n Mike and doxdsgn like this. That and "Conditions" on transport, whatever the hell that means. Here’s the SCOTUS Docket page to track filings and briefs. Time to file amicus brief extended to Aug19 - one recent Mar19 is worth a read. KBCraig and Cap'n Mike like this. Or . "Do you know how hard it is to force your will onto people who can fight back ?" Waher and vicorjh like this. Left-wing Statist Regimes don't trust their Citizens because they need them to comply with the oppression in the name of the Greater Good. The only solution to the Constitutional Crisis over 2A is separate Countries. Everything that happens with SCOUTUS, State/Municipal ploicies, and Individual disobedience is just leading up to a Revolution and forming of a new Nation. Don't worry, John Roberts will throw us under the bus and we'll continue on with business as usual. rickflst, VTski4x4 and CLW42 like this. AHM and MaverickNH like this. ...The only solution to the Constitutional Crisis over 2A is separate Countries. Everything that happens with SCOUTUS, State/Municipal ploicies, and Individual disobedience is just leading up to a Revolution and forming of a new Nation. Short version: gun control only applies to those people, not good people like us.